Student and faculty leaders gathered at sites throughout the state on Wednesday, July 22 to stress the importance of Gov. Andrew M. Cuomo’s signing “Maintenance of Effort” (M.O.E.) 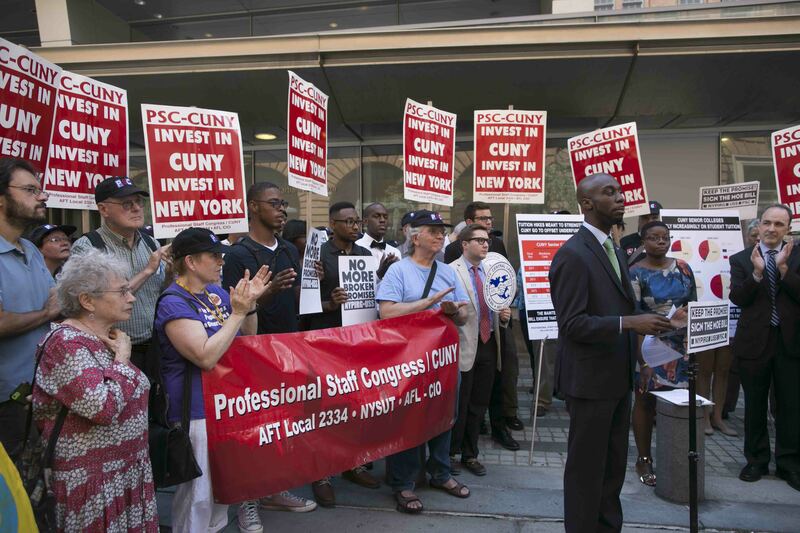 legislation that would improve the quality of public higher education in New York. 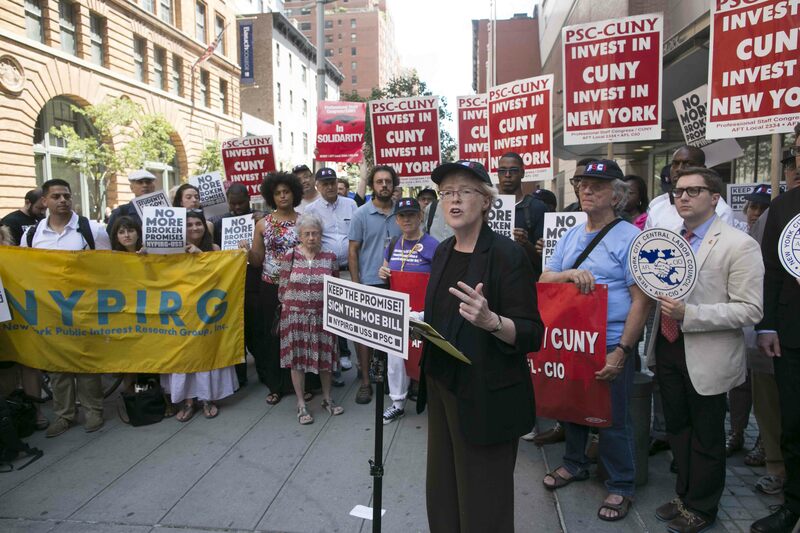 At Baruch College, CUNY students were joined by their professors, labor leaders, and Assemblymember Deborah J. Glick, the Assembly sponsor of the bill, which passed with bipartisan, near-unanimous support. The M.O.E. 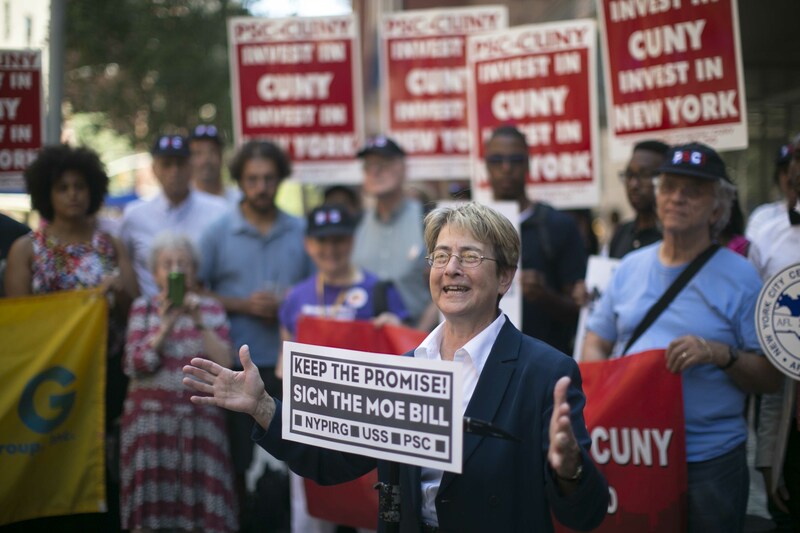 bill (S.281a/A.5370a) would stabilize State funding for New York’s two public university systems by supporting annual basic cost increases for utilities, rent, supplies and equipment, collective bargaining, and other normal operating expenses. Cash-strapped campuses, still recovering from $1.5 billion in cuts and flat funding since 2008, have been forced to use tuition hikes to cover these costs. 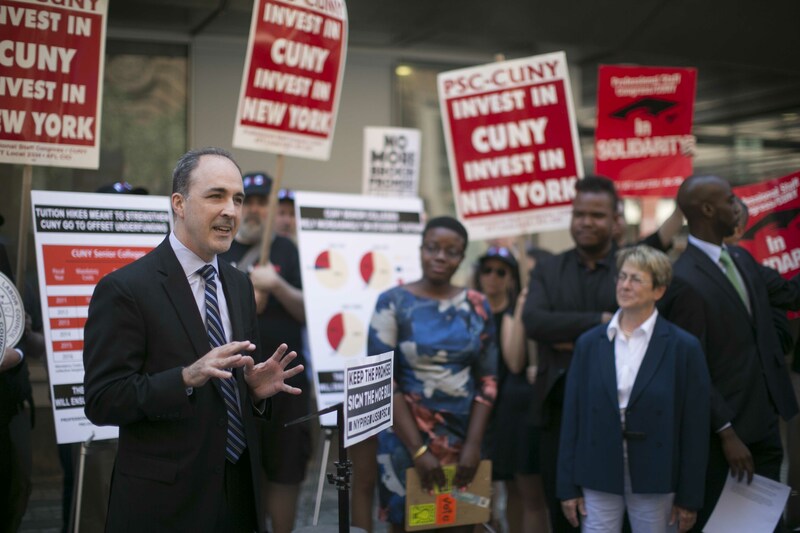 The NYSUNY2020 law enacted $1,500 in tuition hikes over five years to improve education at CUNY and SUNY, not to cover unfunded operating costs. That’s why Senate Majority Leader John Flanagan and Assembly Speaker Carl Heastie supported the M.O.E. bill, and why the Higher Education Chairs, Senator Kenneth LaValle and Assemblymember Glick, spearheaded the effort to pass it. When the bill is delivered to Governor Cuomo, he will have 10 business days to sign or veto it. “There is no doubt that an educated workforce begets economic growth. That is why it is so important to invest in our public higher education systems. This Maintenance of Effort proposal reflects the real cost of doing the business of educating our students. New cutting-edge programs demand new faculty. To educate physicians to keep up with increasing demands you need to fully fund health science centers. You cannot be first if your schools scrape by from budget to budget. We need this Maintenance of Effort signed and implemented." 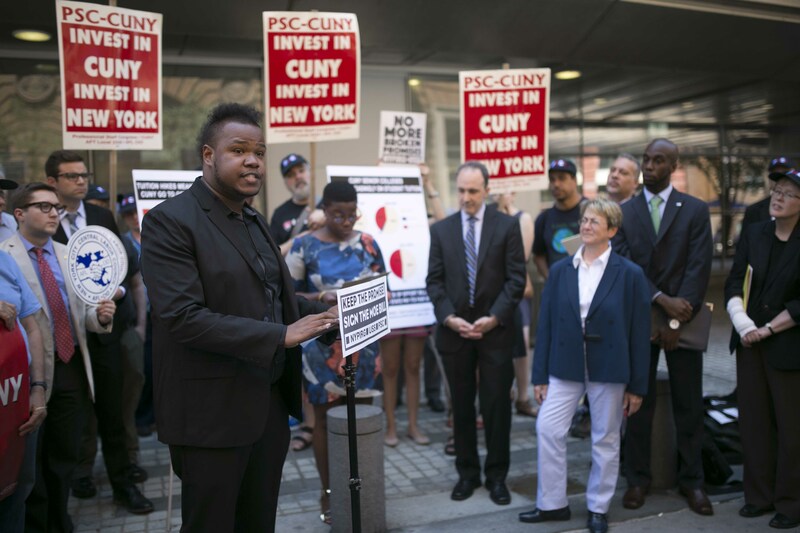 "I think we can agree the students of the City University of New York have paid their share of incremental tuition fees over the past five years. Students deserve to see the State hold its end of the bargain by funding the costs we all thought would have been covered when the incremental tuition plan was adopted."